In today communication, we may not be able to get away from our smartphone. Most of our activities are conducted using a smartphone; such as texting, making a phone call, instant messaging, access social media, access browser, reading news, even working with simple office software. From the business need to leisure, it seems like the smartphone has been “the closest friend” for us. Understanding that smartphone plays a significant role, it is important to make sure that we have enough mobile credit to ensure our communication works well. 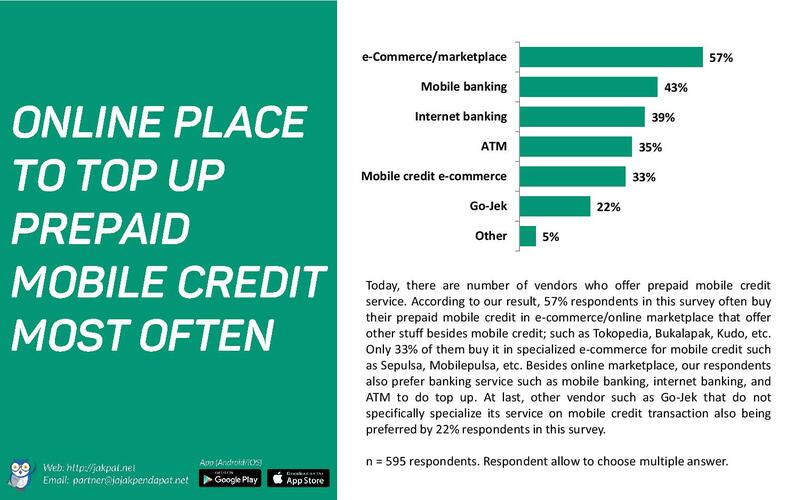 Today, people can top up their mobile credit online and offline. 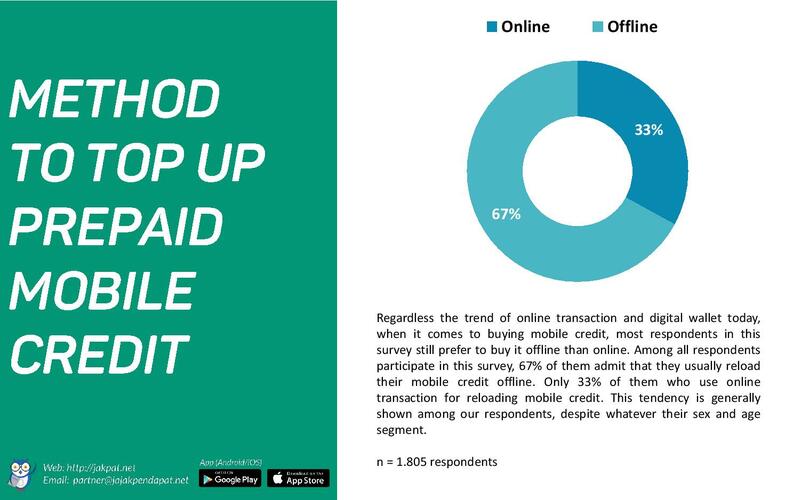 We conduct a survey toward 1.805 respondents in nationwide to understand their habit of purchasing prepaid mobile credit by their preferred method; online and offline. Interestingly, we find several differences regarding their habit. 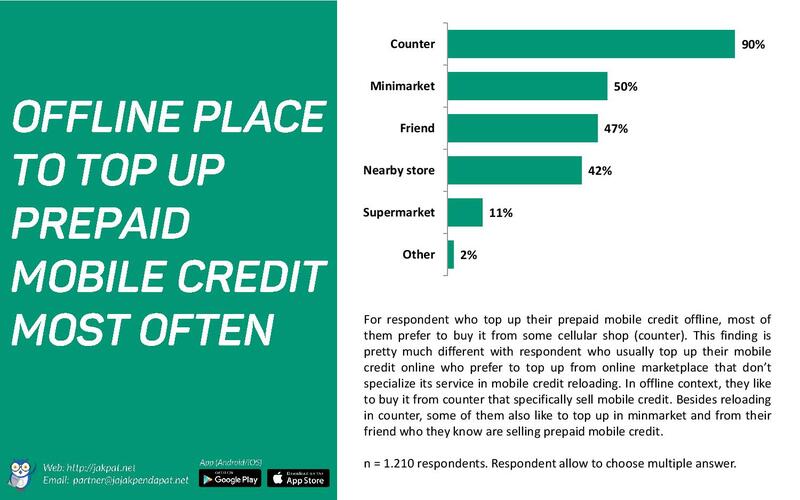 For instance, a respondent who usually top up their mobile credit online spends different amount with those who usually top up offline. Furthermore, we also find different finding regarding their preferred place to top up and their motivation for doing so. This entry was posted in E-commerce, Financial, Lifestyle, Mobile on February 27, 2018 by Syaifa Tania.